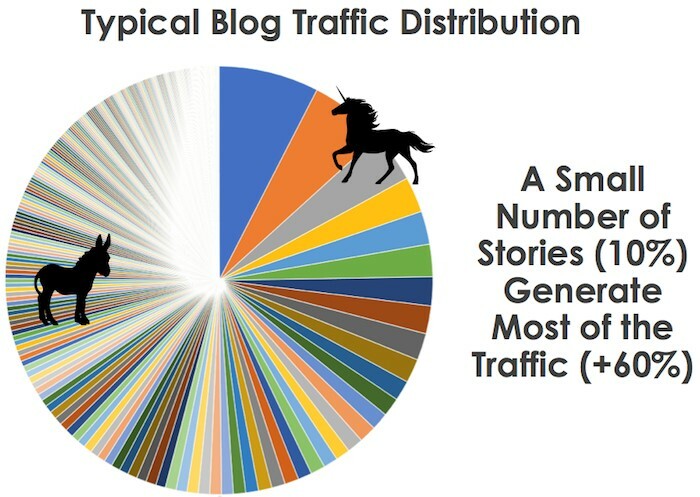 Most of your content is DOA: Dead on Arrival (or maybe Donkey on Arrival). Individuals, businesses, and brands are producing a ridiculously enormous amount of content every minute. That means your content is getting lost in the noise. 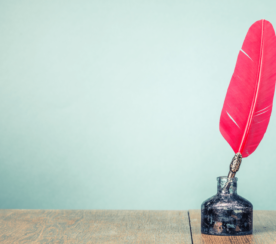 Every marketing expert ever agrees that the secret to content marketing success is creating quality content. And you’re creating quality content, right? So … why is most of your content still failing? Your definition of “quality content” is completely wrong. Although these content qualities are important in their own way, they don’t actually define quality content! 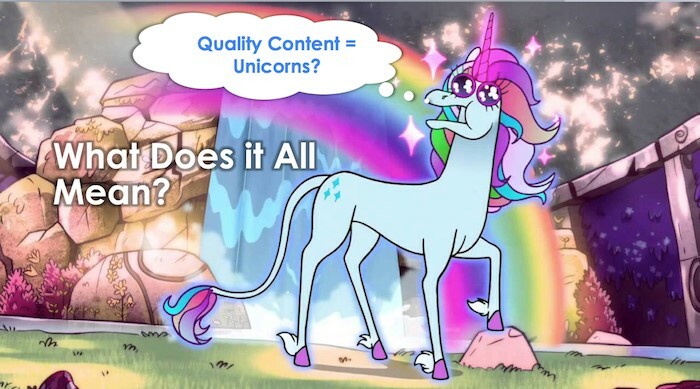 So what really defines quality content? Always base your definition of quality content on data. Any other definition will be based on your biased views of your own work. Unicorn content: This is your best, most magical content, performing among the top 3 percent of all your content. 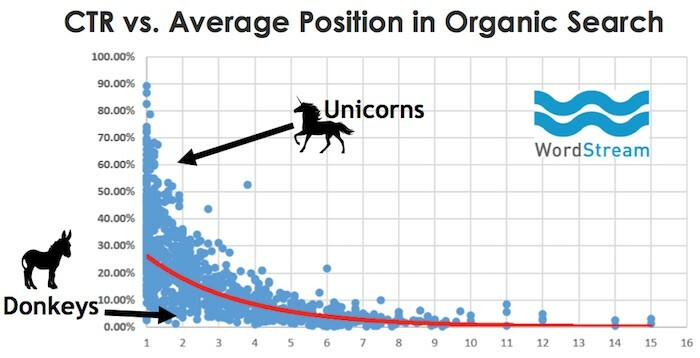 Unicorns rank well in Google (Position 1-3) and drive the most traffic, engagement, and leads. Donkey content: This is your average and below average content. It makes up the remaining 97 percent of your content. But a donkey is still just a donkey – no magic here! Donkeys will never achieve unicorn status. 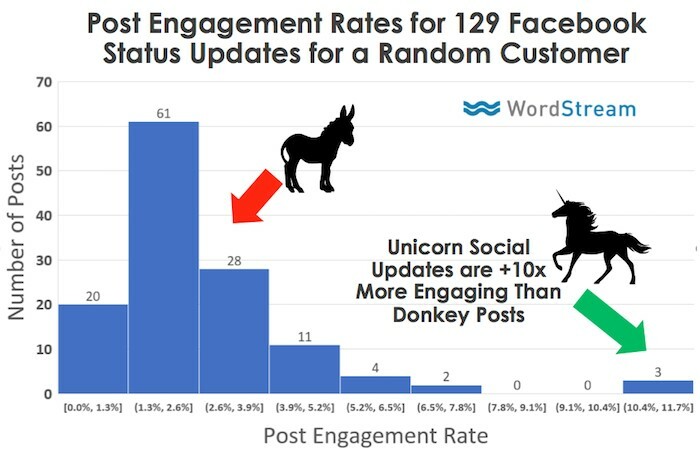 What’s the difference between high engagement unicorns and low engagement donkeys? 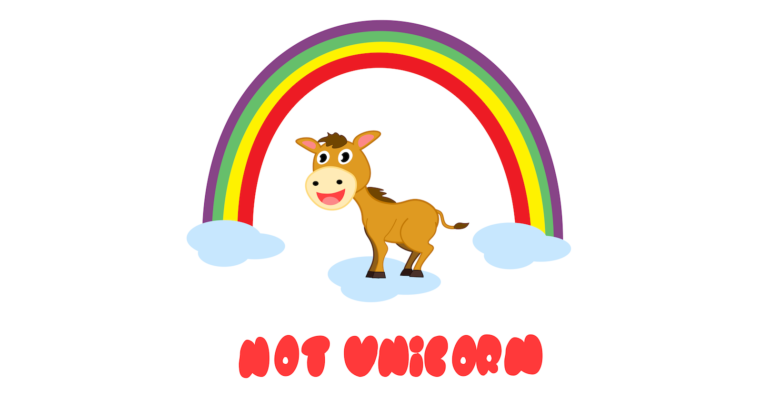 The unicorns (the top 10 percent) have 6x higher click-through rates (CTR) than donkeys (the bottom 10 percent). The unicorns are 10x more engaging than the donkeys. For the WordStream blog, 10 percent of our stories generated more than 60 percent of our traffic in 2016. 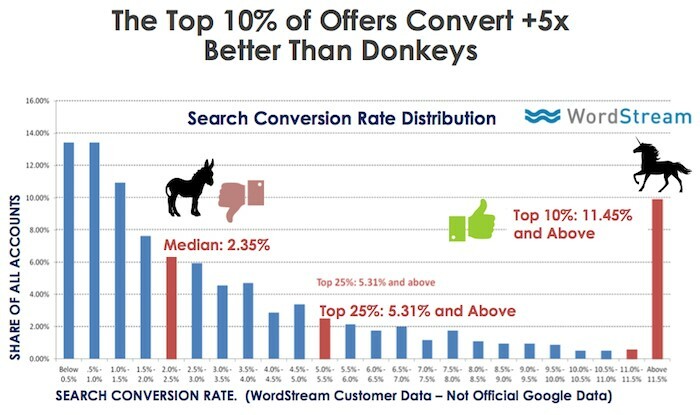 The top 10 percent of offers convert at least 5x better than donkeys – 11.45 percent or higher vs. 2.35 percent or lower (based on WordStream customer data). You may have heard of the 80/20 rule (AKA the Pareto principle). It’s been interpreted in marketing to mean that 80 percent of your profits come from 20 percent of your customers or 20 percent of your efforts lead to 80 percent of your results. Well, here’s a new law you need to know. The Unicorn Power Law: most of your value comes from a tiny fraction of your content. Your data will reveal that fraction of your content – the true top quality content. You should define content quality based on how much you get out of it, not how much time and money you put into it. Imagine you own a baseball team and need to add a hitter to your lineup. Are you going to sign a player based on his height or how handsome he is? Or how well he speaks? Or maybe how many social media followers he has? NO! You want to score runs! You would look at things that matter, like statistics – hits, home runs, on-base percentage, etc. You know, how the player actually performed on the field. Great baseball players come in all shapes and sizes. The same is true of quality content. Unicorn content can be long or short, have zero images or 10, and have a couple spelling errors or totally perfect grammarization. Ultimately, it’s about whether your cornerstone content achieves its marketing goal, whether that’s generating traffic, rankings, engagement, or conversions. Google uses machine learning as part of its RankBrain algorithm, which is used on every search. One thing all machine learning systems have in common: they reward high engagement. 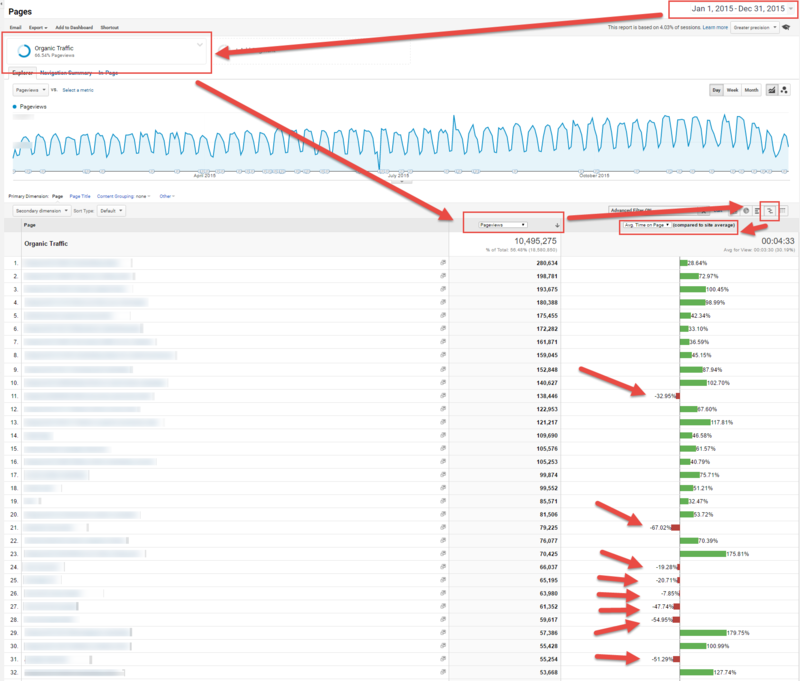 How does Google measure engagement? I believe it’s through a combination of click-through rate (people are clicking on your content) and dwell time (people are spending time and/or engaging with your content). 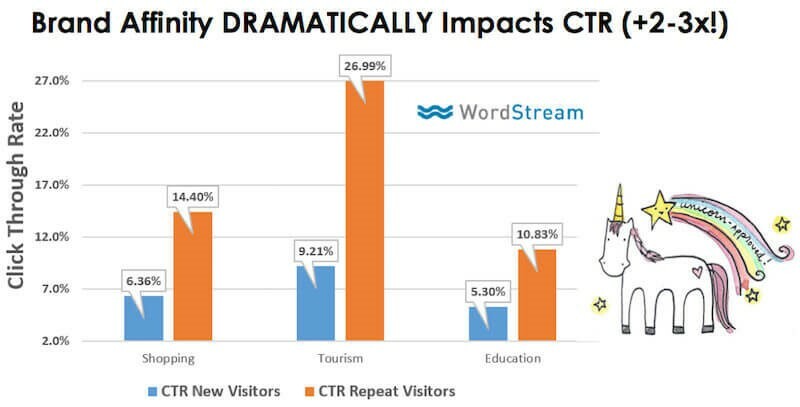 CTR is important for SEO because, for every 3 percent increase or decrease in CTR your experience, your position can go up or down by one spot. 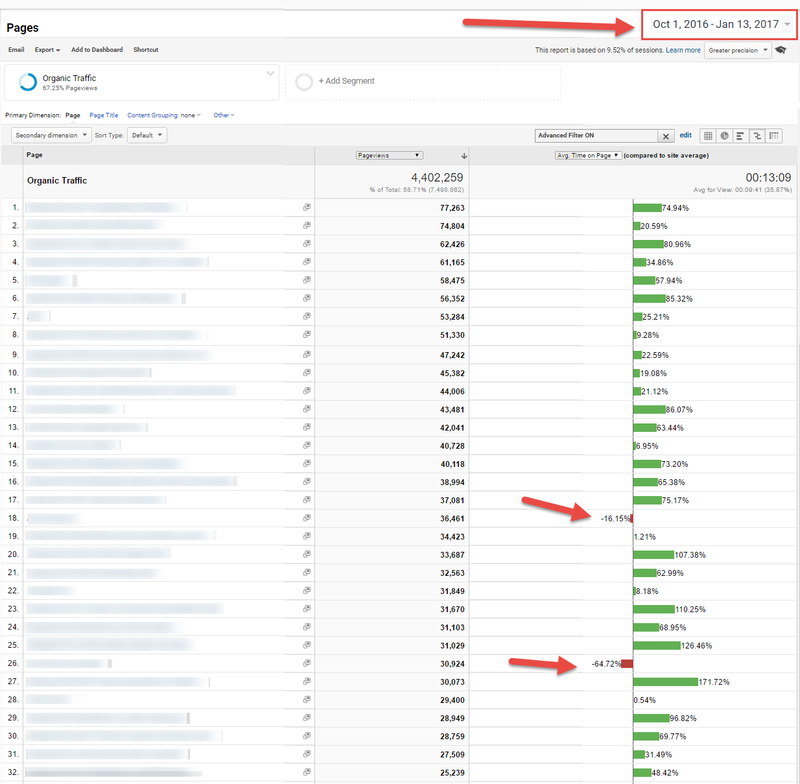 Meanwhile, data reveals how Google is slowly eliminating traffic to pages with low dwell time (the amount of time people spend on your website after clicking on your search result listing). We can’t measure dwell time, but time on site is proportional to dwell time. Eight of our top 32 pages had below average time on site. Now only two pages are donkeys? Wow! Google SERP positions used to be mainly determined by who had the most/best links and most relevant content. While those remain important ranking factors, now it’s equally important that people engage with your content if you want to rank well. Before Google used machine learning as an organic search ranking signal, Google used machine learning in AdWords (they also use it for the Google Display Network, Gmail Ads, and YouTube ads). If your AdWords ad has a higher Quality Score, you pay less and your ad appears more prominently; if your ad has a lower Quality Score, you pay more and your ad impression share is much lower. What is the most important AdWords Quality Score signal? A remarkable click-through rate. Facebook and Twitter both copied the AdWords idea. These social advertising platforms also reward high engagement content with much lower costs per engagement and more visibility. Low engagement content is penalized, which makes promoting junk content very expensive. Google, Facebook, and Twitter incentivize high engagement content. If your content doesn’t make lots of people click, then it isn’t quality content. 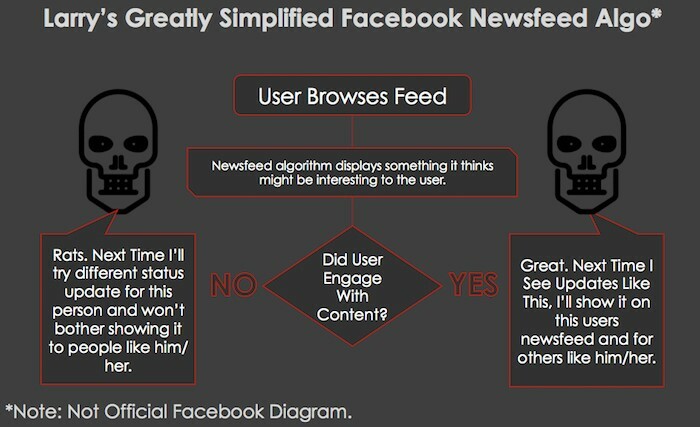 This is why fake news thrived on Facebook. It was all about engagement. People clicked on, shared, and commented on the fake news because it validated their existing biases, not because it was “quality content.” Facebook’s algorithms favored content popularity over authority, which helped the stories spread to more peoples’ news feeds. Obviously, fake news = bad. We’re totally against it. But you can learn from it. To capture the attention of social media users you need content that triggers an emotional response. Only content that achieves high engagement on social media can truly be called quality. 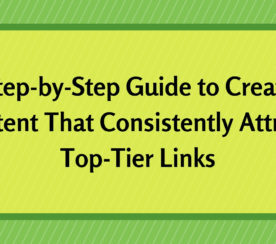 Quality content has higher conversion rates. If you can get people to click, it’s more likely they’ll ultimately convert, whether it’s signing up for a webinar, filling out a registration form, or buying a product or service. If you want more people to click, increasing brand affinity is the best way to do it. People who know your brand are more likely to choose you over brands they’ve never heard of. Unicorns are the pinnacle of quality content. Some content might do well on one channel. 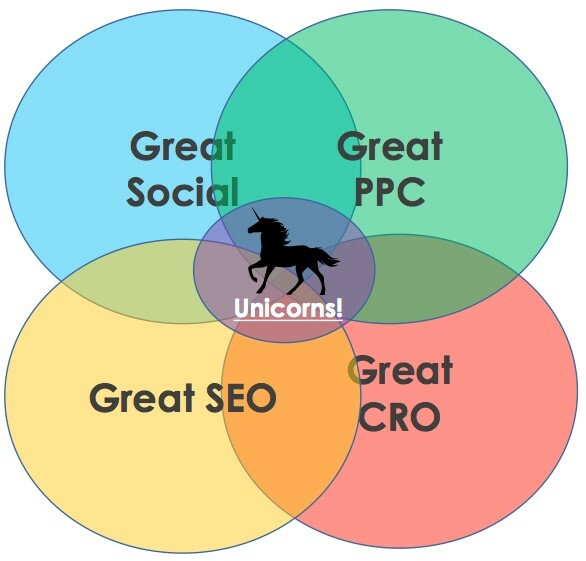 But unicorns do well on every channel, whether it’s SEO, CRO, PPC, social (paid and organic), or email. 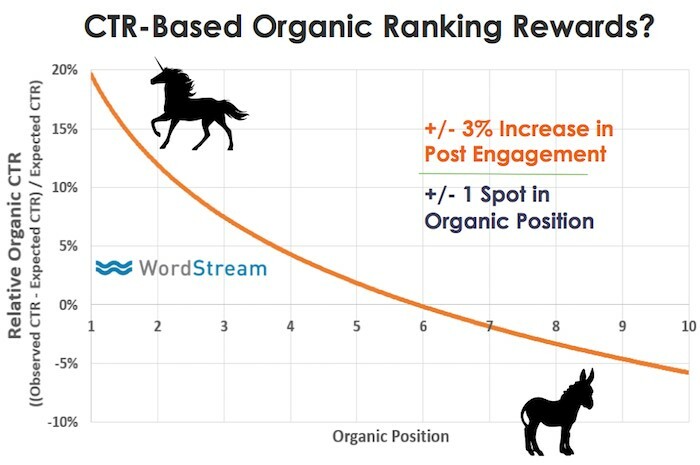 Unicorn content does well on social media and tends to rank and convert well; content that ranks well in organic search tends to have high engagement on social media and convert well, and so on. Conversely, content that fails in one channel is likely to fail in another. Content that fails to rank well in organic search won’t have high engagement on social media and it will have a terrible conversion rate. At the heart of unicorn, content is a truly remarkable, engaging, and inspiring idea. So if you want your marketing – and your company – to be more successful, you need to come up with better ideas. Promoting a donkey won’t turn it into a unicorn. You’ll only waste time and money. Instead, focus all your efforts on promoting your powerful and valuable unicorns. Promote your unicorns on every channel when you find them to amplify their impact by 100x or even 1000x and drive even more traffic, engagement, and leads. Content marketing is an unfair game. If you want to win you need to stop relying on your gut (which is really just your opinion and, by nature, biased) and look at unbiased statistics. When you find that super rare unicorn content, capitalize on it! 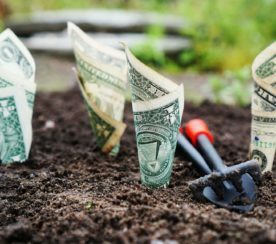 Leverage the heck out of it on every channel to maximize your marketing ROI. This post originally published on WordStream.